Wayside Inspection Devices Inc. (WID) will be exhibiting at Innotrans for its second show. WID will be a part of the Québec-Canada Pavilion, booth at Hall 11, 2nd floor, stand 205. 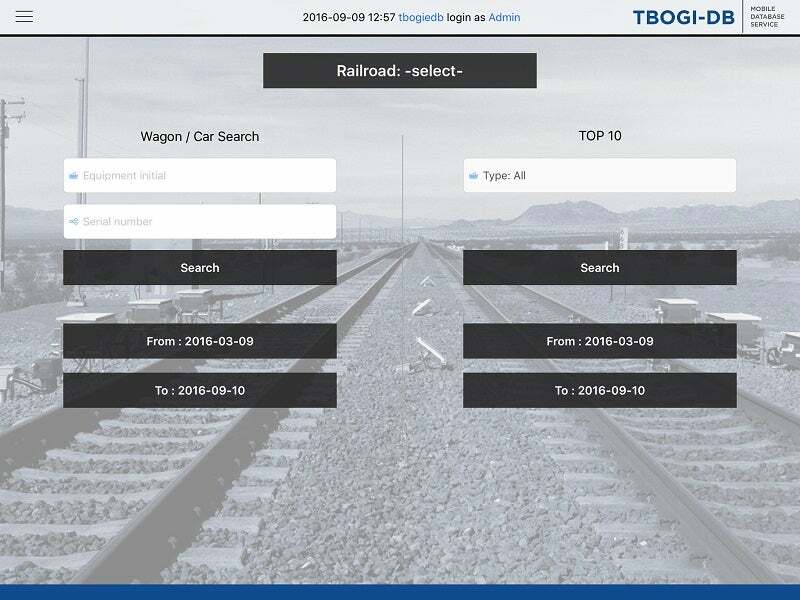 WID has revealed a sneak-peek of one of the exciting new developments of the TBOGI technology to be released at Innotrans: data collected by the TBOGI wayside systems can now be accessed via iOS devices (iPads and iPhones) using a new dedicated app. TBOGI is a wayside system installed next to the tracks, that measures the tracking geometry and stability of each wheelset and bogie that goes past. Each time the same bogie goes past the system, TBOGI tracks the degradation of these conditions, and points maintenance to the root causes. "TBOGI is used by both freight and passenger railways to reduce derailments, reduce service interruptions, improve rail life, and improve wheel life," says Denis D’Aoust, President of WID. "We are excited to formally unveil the new iOS app at Innotrans." "The standard method of interrogating data from wayside condition monitoring systems has been either desktop applications, or web browser-based interfaces," says Paul Bladon, VP business development of WID. "TBOGI systems have always provided access via browser interfaces, and will continue to do so, but the iOS app is an innovation we are very proud of – I believe it is an industry first in this area." "The iOS app will provide access to the data collected by TBOGI from anywhere; so can be queried in the office, on the road, or even during maintenance itself," Paul explains. "It also incorporates intelligent reporting options to help users target the root cause of issues, and to be able to extend maintenance windows. The app will provide users with actionable data – not just tables of raw data – so intervention and maintenance decisions can be made with greatest efficacy." "The full feature set will be revealed at Innotrans, and we are excited to be able to announce the iOS innovation," Paul concluded. "We look forward to demonstrating it in details at Innotrans along with our other new developments."